As one of Maharaj ji’s oldest devotees and first foreign disciple, and one who was with Him til the end, I feel it is my duty to share with you a message I received which brings me and all those I’ve shared it with great hope and reminds me of the challenge ahead to spread His great mission of love and peace to everyone. Let us put our grief aside and raise His image high for all to see. “I have nothing to prove. You may want to see a miracle for your faith. But, I need nothing. I have lived my faith. Any questions, the record stands and speaks for itself. If you want a miracle, you do it. I have done mine. I have transformed all of you into Warriors for Truth. I’ve made heroes out of cowards, and the story has not even begun. You will see such Light and happenings that you could never have believed. As I have said, again, and again I will work even greater deeds through you. All will join you in this mission. Early the next morning, He had left. 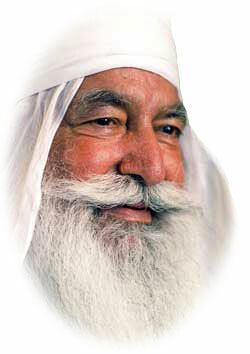 In passing as in life, Maharaj ji’s connection with Jesus will be etched in history. He left on Christmas eve, was cremated on Christmas, and His memorial was held on the Day of Epiphany, January 6th, Russian Orthodox Christmas. When people ask: “How did He die?” I say, “He didn’t. Great souls take our sins on themselves and leave when it is their time.” “How old was He?” I respond, “Ageless. He has been with us forever and will remain for eternity.” We may ask 1000 “whys” but as Maharaj ji Himself stated, “I have nothing else to prove. I have lived my faith.” Now let us live ours.